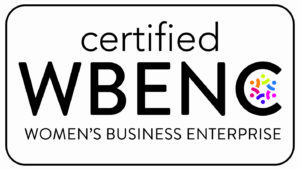 In honor of International Women’s Day, InSync team members shared insights about working for a WBENC-certified Women’s Business Enterprise. Over the years, InSync has grown to have more than 75 team members. And right now, more than 65 of them are women. We didn’t start out to build a team of mostly women, that’s the way it turned out. It turns out, InSync especially appeals to women. They tell me that they like the flexibility of being able to create literally their own schedules. Some work during the day, some work very early morning, and some work overnight. This gives them the flexibility to take care of other things in their lives like children or parents. It also provides the opportunity to work at home while maintaining a professional resume. The women especially appreciate the ability to identify ways to take care of everything they need in their lives. I’ve learned that men appreciate the same things. They want to take care of their families. They want to find balance. We’ve created a culture at InSync where that’s expected. Maybe it was easier to do because we are a 100% virtual team. We don’t have the visual cues that insist we are different from one another. Appearance is not a core competency on a team like ours, so traits like gender and race are not obvious, so initial impressions are made on the quality of work, not in any pre-imagined stereotypes. This team, women and men, are there for each other. It’s a collaborative team, that cares about the success of all of its individuals. Which is amazing because we don’t work in the same place. Literally, everyone works from their own virtual office. But everyone still cares about supporting everyone else. I think we probably have a bit of a different culture than if we were comprised of 65 men and 10 women. I do believe that women are capable of incredible things, but we, by nature or by nurture, bring a different perspective to the table. Being able to enable women to be successful and to find their version of balance is one of the things I strive to do in my professional career. Mentoring young women is a personal goal of mine for 2018. This week we celebrate International Women’s Day. It’s a time to celebrate women’s unique strengths and recognize that women and men can be successful working together towards common goals. And we don’t need to be afraid to discuss those common goals. It’s a day to come together as people. Fortunately for me, at InSync we do that every day. "Over the course of my career I have worked with many different companies of many different configurations; large and small, start-ups and established, mostly men and mostly women. For the past twelve years I have had the pleasure of working with InSync Training, a woman-owned small business. Being a professional woman working with a woman-owned small business has not only been a joy, it has been inspiring and deeply gratifying. In my experience I have found this to be true. In any business there is stress; working for a woman-owned business has shown me how the response to stress with a ‘tend-and-befriend’ approach can be beneficial to the company, the staff, and the clients."